Uruguay is among the finest New World Wine Producers. The sector is expanding and is inevitably small scaled. The time is now to manage, own, or invest remotely in Uruguay’s Delicacy Food industry. Agro Entrepreneurs will discover virtually any crop and specialty crop grows under the Mild Climate of Uruguay and with the help of a trained and dedicated workforce. Uruguay is a relative newcomer to New World wines and is already producing arguably finer crus than her Andean neighbors like Mendoza or Chile. The lower elevation and sea-tempered climate makes the terroir more similar to Medoc than Burgundy. 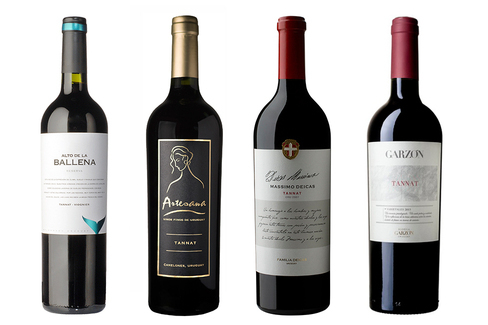 The distinctive Uruguayan variety is Tannat brought from South West France by our grandparents. This red wine is the perfect pairing for clover-fed steak. Vineyards in Rocha, Atlantic Coast of Uruguay.